Work for Outlook Password Recovery? Learning about Outlook Password Recovery? "Saves so much time "
It helps when I can't remember a password. I'd have to say the one thing that I like most about Outlook Password Recovery is the fact that I can recover a password that I commonly use instead of having to continuously change it. It gets to be very annoying. It's hard to set a secure password over and over. Well there isn't much that I don't like about Outlook Password Recovery. It's very easy to use and it is widely used and known over the internet, so every time I need help or have a question about he product, all I have to do is google the question and a step-by-step set of directions pops up on how to recover or reset my password. I don't really have any recommendations. I think that Outlook Password Recovery is a great program. It saves time when there are many passwords to remember. It is such a hassle when I have to continuously keep changing passwords when I forget one. There are a lot of benefits to this software. I don't have to keep resetting my password. Using this product helps my company to keep confidential information confidential. 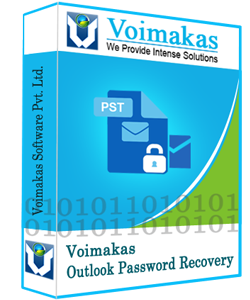 "Outlook Password Recovery is great"
What I like best about password recovery is that I am able to get into my computer in just a few steps and not needing to call an IT tech to recover it for me. I have many different passwords for websites accounts. Using one or two passwords is not good because a person's password can be stolen and it can open up many accounts. I am glad that there is a feature in Outlook that allows me to recover my password and not having to think of and remember another password. There is nothing that I dislike about the password recovery feature. It is a feature that saves time, money, and frustration. If you forget your password always use password recovery feature first. There is nothing more frustrating than having to think of another password and trying to remember it for later. Side note: It is beneficial to write the password down and put it in a secure place. Having Outlook Password Recovery saves the issue of having to think of and remember one more password. I can retrieve the same password and continue to use it. It would cut down on the cost of calling an outside IT tech to come in and recover the password for you. Having an in-house individual or system administrator to recover the password for the employees is a major plus compared to an outside IT tech. There’s nothing I have disliked about the product so far. The problems we are solving is reducing time on the phone with IT people and solving our own little issues with password problems. "Necessary & Simple Password Recovery"
I like how easy it is to access your account even if you forgot your password. There aren't many things I dislike about this, it is a relatively simple process. If you want something simple and easy, this is the way to go. I am always able to access my account no matter where I am, and able to recover my password in a timely and effective matter. This can be done just as simply on devices other than a desktop. It is easy to reset my password. The requirements for the password are too specific. It can take a little while th recieve the Prompt to change my password. The ease of being able to recover your password and not have to wait days for help. I don’t dislike it. I think it’s a great tool. Not waiting extended times to recover passwords. It didn’t actually work. It took me a bit and after answering the questions my password wasn’t recorvered. * We monitor all Outlook Password Recovery reviews to prevent fraudulent reviews and keep review quality high. We do not post reviews by company employees or direct competitors. Validated reviews require the user to submit a screenshot of the product containing their user ID, in order to verify a user is an actual user of the product. Hi there! Are you looking to implement a solution like Outlook Password Recovery?